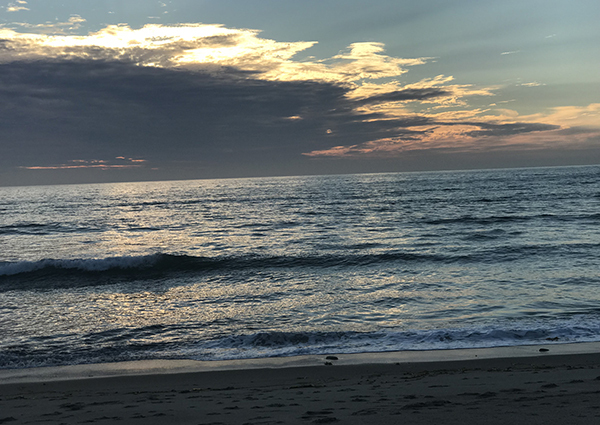 An overview of the San Onofre State Beach San Mateo campgrounds in California with photos, tips and things to do around the campsite. San Onofre State Beach San Mateo Campgrounds are located along the east side of Interstate-5 between San Clemente and Camp Pendleton. 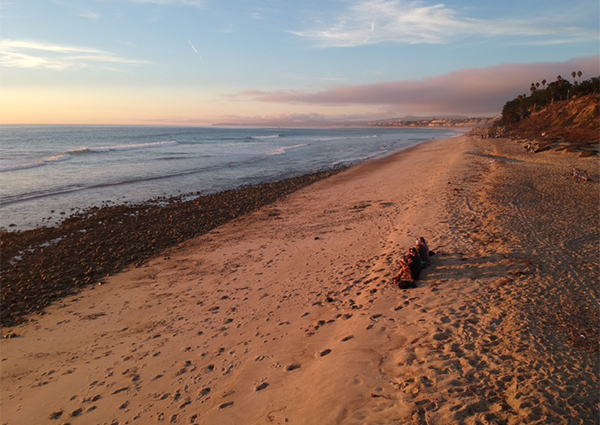 There are two campgrounds within San Onofre State Beach, the San Mateo Campgrounds and the Beach Bluffs. San Onofre Beach Bluffs is closest to the water and is popular for RV campers. 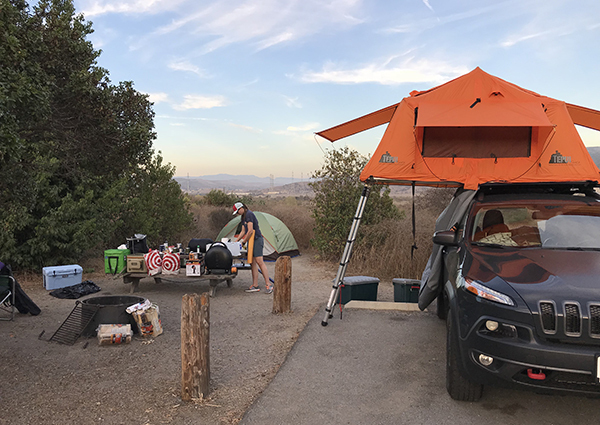 San Mateo Campgrounds are about a half mile to a mile east of the freeway and have sites available for both tent and RV campers. The grounds were fairly clean and very conveniently located. We were visiting during November so it was quiet but for the most part the restrooms and sites were kept clean. We were bouncing around the area exploring and doing other activities so the location of the site was awesome. San Clemente was a quick 10-15 minute drive up the highway so it was easy to check out the town and enjoy lunch near the pier one day. I also loved the trail to the beach, we used it every evening to watch the surfers at sunset. Although we didn’t get a chance to mountain bike, there were a couple a cross country trails connected to the grounds which is definitely a plus for bikers. The campgrounds are near Camp Pendleton and you can hear the exercises that they run. We thought it was kind of cool but I can definitely see how the early mornings might startle some. Some of the spots are pretty close together and those located within the inner circle are slightly exposed with little to no privacy. Bring headlamps, lanterns, and flashlights – the grounds get super dark as soon as the sun goes down. If you are there in the fall through early spring, you will definitely want a headlamp for cooking or walking around your site at night. The trail to the beach also gets pretty dark at night so if you are walking back after sunset you will definitely want flashlights or a lantern. Make sure you have dollars for the showers. There is a token machine located around the backside of the shower/restroom facility and it only takes 1, 5, or 10 dollar bills. I would recommend getting a surf lesson or two if you do not know how to surf and are interested. There are lots of beaches close to the grounds that are perfect for beginners. Lastly, beware of the squirrels! They are determined little buggers that are clearly used to people and have no issue getting on your table or trying to steal your food. 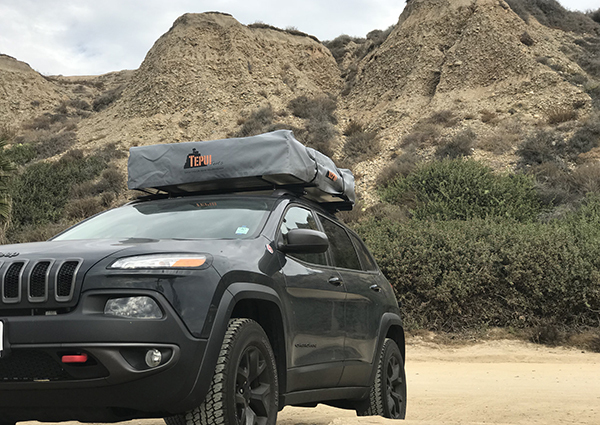 The San Mateo Campground at San Onofre State Beach was a solid spot for coastal camping. We were removed from the immediate coast so we didn’t have to deal with crowds but we were close enough that we could still easily enjoy the beach. For those who enjoy surfing, this is an absolute must camp spot. Most people who stayed at the campgrounds were surfers who would enjoy the numerous surf spots only miles from the grounds.